Aida has been living in Newport for 13 years with her husband, Tim. 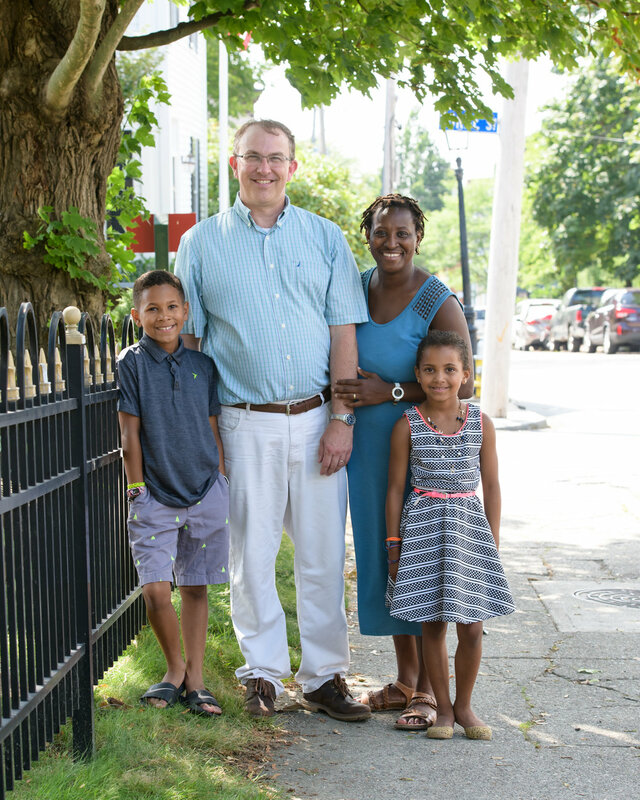 Their two children were born in Newport and attend Claiborne Pell Elementary School, Newport's K-4 school. Aida works at Salve Regina University where she meets students from all over the world. Working with young people who are graduates of a wide variety of K-12 systems has given Aida a window into what is possible when communities invest in the education of all their children. Aida's first involvement with the Newport Public Schools was in 2011 as a member of the Elementary Facility Options Subcommittee which was tasked to come up with options to address potential Claiborne Pell Elementary School overcrowding. Since that time, her children have entered a robust but challenged school system. She has been involved as a member of the Parent Advisory Council and of the Pell PTO with an eye on making an impact and a difference in the lives our Newport's children. In her work at Salve Regina, Aida navigates a complex federal system to ensure that her students succeed during their college career. As a parent, a homeowner and a member of the Higher Education community, Aida will bring those same problem-solving skills combined with deep commitment to her chosen city to strengthen our school system so that our children are prepared for a 21st century future.